You may review and purchase our books by clicking on a book's name above. Our videos, art, and poetry may be viewed at http://www.kaleoching.com. Our book(s) are also available in the Rossmoor Library. Our books are also available from local bookstores, Powell's Books, and online from Amazon and Indiebound. Elise and Kaleo Ching's recently published book, "The Creative Art of Living, Dying, and Renewal: Your Journey Through Stories, Qigong Meditation, Journaling, and Art," is part novel, part inspiration, and part instruction. This book invites the reader to contemplate the continuum of living, dying, and renewal - in this life and beyond. Part I, the novel, which is set in Indiana and the San Francisco Bay Area, is based on four characters the authors have known and imagined, who look intimately at dying and transformation. Following each character's story there are questions, journaling, and art processes promoting the reader's own journey of reflection and self-discovery. These include such themes as having an intimate conversation with a dear friend about your spiritual beliefs, supporting a loved one who is dying, and finding wisdom and empowerment in one's own vulnerability and aging. Part II of the book employs simple Qigong ("Life Energy Cultivation") exercises and meditations to help the reader deal with issues of living, dying, and renewal. Guided hypnotherapy and meditation processes, such as past-life and future-life journeys, journaling, and simple art exercises, engage the reader in a personal journey of healing and transformation. The aim is always to inspire the reader's own exploration in relationship to life's important questions and to foster awareness of the living-dying continuum. 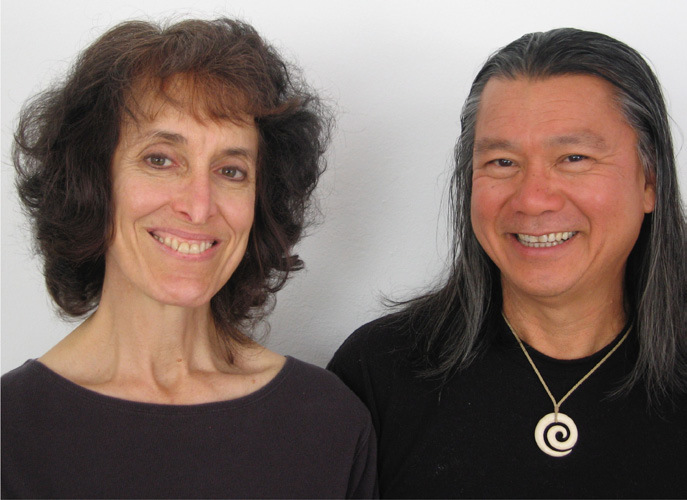 Kaleo Ching is an author, artist, and teacher of Qigong and art-as-healing processes. His wife, Elise Dirlam Ching, is an author, award-winning poet, and teacher. They have co­-authored five books in their field. The couple began writing "The Creative Art of Living, Dying, and Renewal" six years ago as a manual to accompany students' requests for a class on "Masks of Death and Rebirth." After moving to Rossmoor five years ago and sharing journeys with others who face illness, loss, and death, they have deepened their experience on this comprehensive theme. Kaleo and Elise taught at John F. Kennedy University for twenty-three years. They are currently teaching Qigong at the Acalanes Adult Education Center. They also co-teach "Embodied Prayer" with Pastor Steve Harms from Peace Lutheran Church at San Damiano Retreat Center in Danville. They offer Qigong and art-for-transformation classes through other venues.